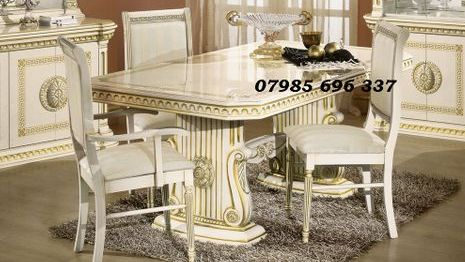 The Versace style Rossella Italian dining table is bespoke centrepiece for any home. 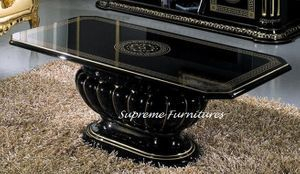 The Rossella is a exclusive and luxurious dining table that will grab everyone’s attention. 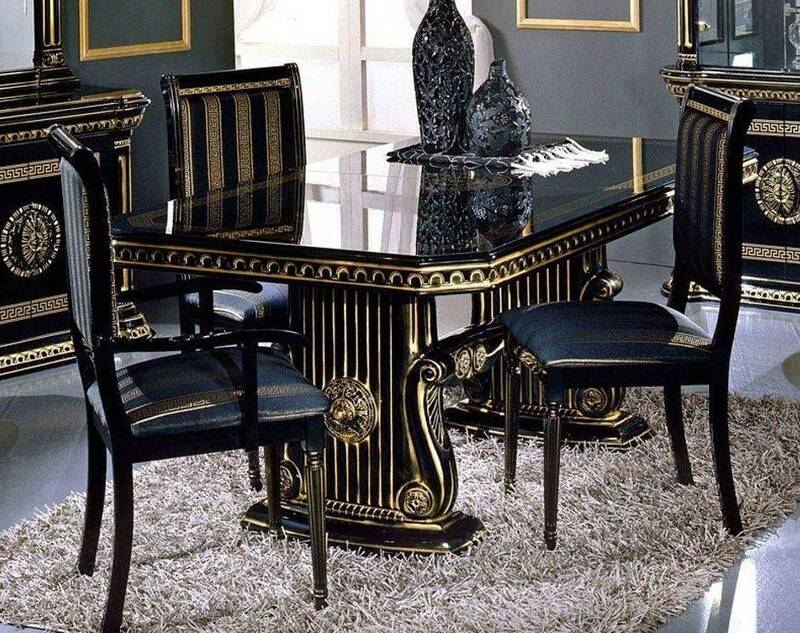 Rossella dining table is hand made and finished in high gloss with detailed design in gold. 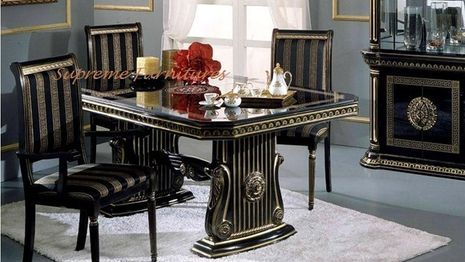 This Italian table comes with 2 head table chair and 4 side table chairs. 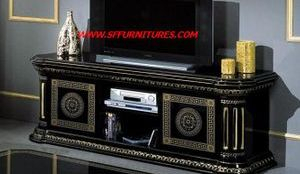 The Rossella chair is complemented in high gloss finish with gold embroidery on black fabric on seat. 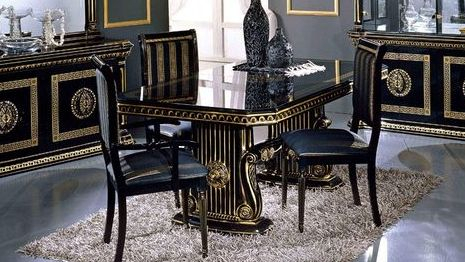 The Versace style Rossella dining table can easily accommodate between 8-10 diners when extended.